As of December 1, 2015, the position of CEO of TATRA TRUCKS will be occupied by Martin Bednarz, who has already worked in the Koprivnice truck factory in the past as a production manager. The line-up of the Board of Directors will also change, featuring new members Martin Bednarz, Ron Bonsen, a former sales and marketing director and member of the Board of DAF TRUCKS, and Radomir Smolka, the current engineering director and chief designer of TATRA TRUCKS. Mr. David Pipal will be at the head of the Sales Department as the Sales Director. Mr. Petr Rusek remains the Chairman of the Board. After two years at the position of CEO, Mr. Petr Karasek is leaving Tatra, having fulfilled his crisis manager mandate. TATRA TRUCKS a.s. is an economically stable enterprise that generates profits. It is also reflected in the agencies’ rating and the confidence of banks involved in the production financing. The production volume is gradually increasing, which reflects not only the growth of the absolute number of units produced, but especially a higher value added to an individual vehicle. After a period of layoffs in 2013 and 2014, which led to a substantial increase in the labour productivity, TATRA is now creating new jobs and recruiting employees. The company’s order book is full; the renewal of Tatra’s business opportunities is particularly symbolized by a successful return to the Indian market. The leaving CEO Peter Karásek states: "The decisive role in saving of Tatra was the role of both shareholders, Jaroslav Strnad and Rene Matera, who did not take a penny from the company during the restructuring and by all means they supported company’s salvation and development. From my experience of an interim manager I have not faced so many similar situations, so I think this positive example of owners’ responsibility should be highlighted. "Petr Karasek has optimally done the work of interim crisis manager and has managed to fulfill the vision of restructuring as it was set up in 2013. I thank him a lot on behalf of shareholders for that," says Jaroslav Strnad, who owns TATRA TRUCKS together with another shareholder Rene Matera. 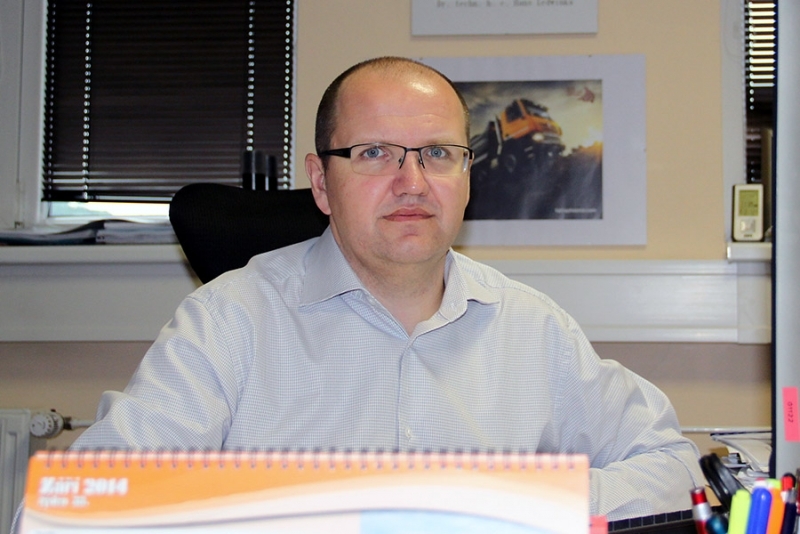 Mr. Martin Bednarz, who has already been working in Tatra as an executive director for several months, enters the position as the CEO and Board member of TATRA TRUCKS a.s. Mr. Martin Bednarz previously worked in Tatra as a production manager from 2008 to 2011. To his taking up the post Martin Bednarz says: "The cornerstone of the company’s future development is the maximum utilization of growing truck market potential. We want to be a global supplier of specialized and innovative truck chassis solutions. Therefore, we have to continue in product innovation as well as increase our supplier reliability and quality. The company will therefore invest in the upcoming years in new technologies, maintenance and development of the Kopřivnice production area of over CZK 300 million. per year. The strategic objective is to maximize the production capacity to double the production of trucks by 2020 compared to 2015." The new board members will be Martin Bednarz, Radomir Smolka and Ron Bonsen, all of them to be recorded in the Commercial Register in the nearest future. Radomir Smolka, engineering director and chief designer of TATRA TRUCKS, who knows Tatra inside out, reached twenty years of continuous work at the oldest Czech truck maker on August 1 this year. His appointment reflects the key role of technical innovation and engineering skills in Tatra and the continuity with the tradition of the TATRA brand. Ron Bonsen is an experienced automotive manager who has held various positions in the DAF TRUCKS Group since 1998, most recently as the sales and marketing director and as a board member at the Group’s headquarters of DAF TRUCKS N.V. TATRA wish to use his experience for further growth in the European and other markets. His appointment reflects Tatra’s export orientation and openness towards strategic partnerships with global players in the automotive field. Supervising the Sales Department, Mr. David Pipal has undertaken an ambitious goal from shareholders to sell 1,300 Tatra units in 2016. 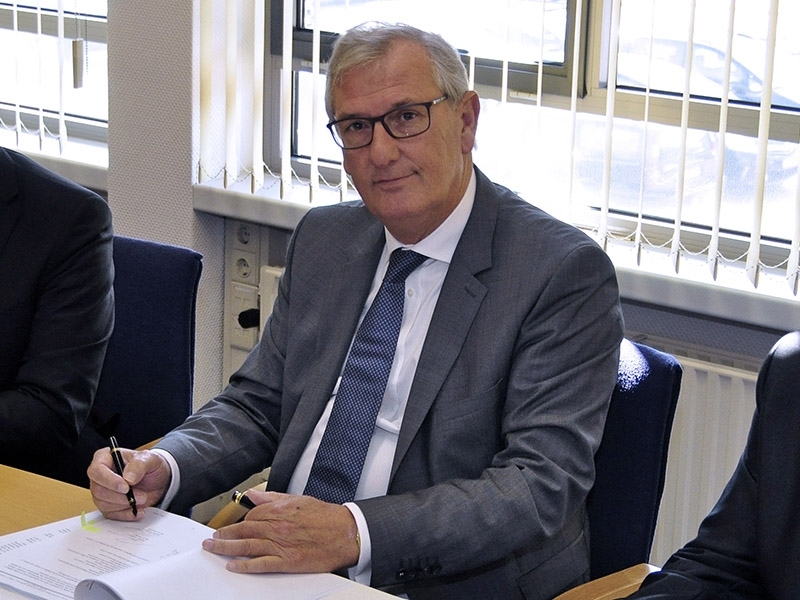 Having decisively contributed to Tatra’s business development since 2013, Mr. Petr Rusek remains the Board chairman of TATRA TRUCKS and will continue to contribute to the overall business strategy and major business projects. Mr. Petr Rusek has had a key role in Tatra’s comeback to the Indian market, and together with the CFO Radek Strouhal he has been present since the beginning of the Tatra salvation process at the turn of 2012 and 2013. 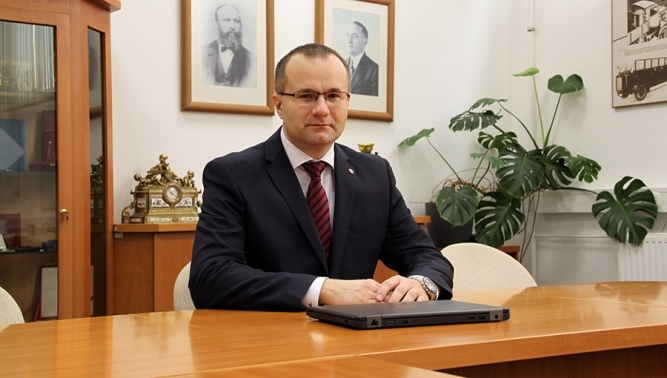 Jaroslav Strnad, a shareholder of TATRA TRUCKS, has this to say: "Petr Rusek came to Tatra in late 2012 in a situation where the production was stopped and funds to pay salaries were running out. He had a decisive role in restoring the basic company functioning, literally persuaded key customers and suppliers not to turn away from the truck maker, and played a decisive role in the return to the Indian market as well as in other strategic projects. In the future, Petr will focus more on strategic relationships within the Group as well as its own business at COMPOSITE COMPONENTS. However, he remains at the forefront of the Board of Directors of TATRA TRUCKS and will continue to significantly contribute to the achievement of Tatra’s business strategy." Mr. David Pipal came to Tatra in autumn 2013 from Zetor Brno, where he worked for 8 years and "forged" from a position of ordinary sales force to the business strategy and foreign trade management. Upon his arrival to Tatra, he had a significant contribution to winning new contracts. Petr Rusek says: "It is also thanks to David that now we can talk about overfilled Tatra’s order book." The Sales and Marketing Department, managed by David Pipal, will be merged with the After-Sales Service Department. 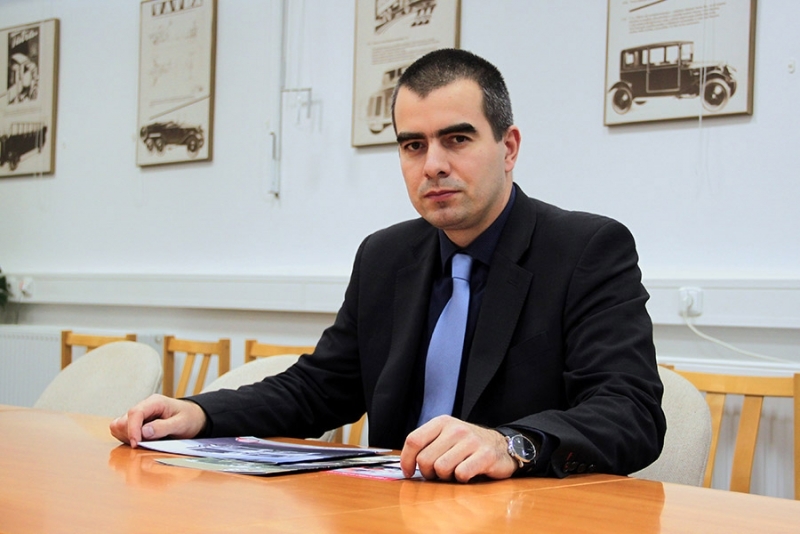 Mr. Radek Strouhal, CFO, remains to be a manager responsible for the Finance and Vice Chairman of TATRA TRUCKS. Along with Petr Rusek, he early joined the Tatra salvation project at the turn of 2012 and 2013. René Matera, a shareholder of TATRA TRUCKS, has this to say: "It is thanks to Radek Strouhal and his operating management of finance that even in the worst era TATRA met their fundamental obligations towards their employees and subcontractors. Thanks to his negotiating skills, the banks’ confidence has gradually restored and standard production financing has begun. Under his leadership, Tatra’s economic rating has moved from the bottom rungs to a very good position and continues to rise." As of December 31, 2014, TATRA TRUCKS a.s. employed 845 full-time employees in the parent company and less than 500 in two subsidiaries primarily focused on casting and forging. In 2014, revenues amounted to CZK 3.7 billion and the company sold 850 vehicles and produced 821 units. The productivity of labor has increased by 66% YTD. At the end of 2014, the sales of new generation TATRA PHOENIX Euro 6 vehicles were launched.